US Airways’ CEO announced this week that his company might just lose interest in its pursuit of American if it has to wait until American comes out of bankruptcy on its own. This statement just piles a little more pressure on American’s creditors to force the airline into accepting the US Airways merger bid now, not later. US Airways has played this game skillfully, lining up the support of most of American’s unionized labor force and many key creditors. US Airways wants an early merger, before American comes out of bankruptcy, because even though it’s the smaller airline, it will clearly emerge as the top dog in a company merged on its terms. American wants to come out of bankruptcy before it merges because it will have much more leverage in any future merger—with US Airways or some other carrier—and its current executives will get some big-buck bonuses. Wall Street wants a merger, no matter what. 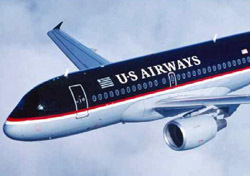 The US Airways announcement that it might lose interest is almost surely a bluff. You can bet that it will still want a merger, but the terms would be better now than later. Nevertheless, the bluff still raises the odds that its strategy will succeed.